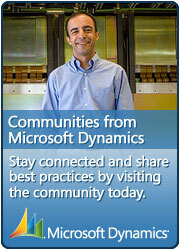 I found a very interesting blog today called CRMScape. It had a fantastic article on using OData and JSON. I have used OData and JSON to retrieve CustomerAddress entity information. You can do it if you use the JSON2.js script and modify the example code found in CRM 2011 SDK, which you can find here. The walkthrough/tutorial below is excellent and will save you some of the frustrations I had. OData commands can easily be tested out in IE. 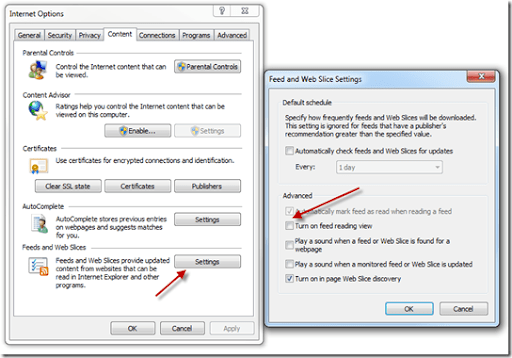 To help with this, you will want to turn off the feed reading view in IE. You will see a list of them in the following format. Since these names are case sensitive you will want to look at the names of your custom entities. Your stock items like AccountSet and ContactSet will be camel cased, but your custom entities will likely show up as new_myentitySet. As you can see the field names use the Schema Name in CRM rather than the lowercase name the is used on the CRM forms. This is something that can cause confusion. If you specify the guid of that entity, the results returned will be for that one entity. All fields are returned whether they are null or not. This listing will show you the exact case of each attribute name that you may want to query. There are numerous references from MS explaining how to build OData Queries, however, Rhett Clinton’s recent addition to Codeplex is probably the easiest way to generate these queries. His tool can be found at the link below. To utilize these OData queries in a CRM Form using JSON, there is a pretty standard template to use. Just set the odataSelect below to your OData select url, and use the appropriate return method. When selecting what could be any number of entities, there will be an array returned, and you want to look at the data.d.results. When selecting a specific Guid there is no results array created, and you will need to just look at the data.d that is returned. You can get the value from them by simply using eval like shown in the example above. For the following CRM attributes there is more involved. This gets a bit more complex when setting values to CRM form controls. The form field names are all lower case, so the retrieved names do not match. The form fields have validation and maintain more types than the returned OData values have. There is some conversion required between them. With the type you can then use the appropriate means to set form controls.